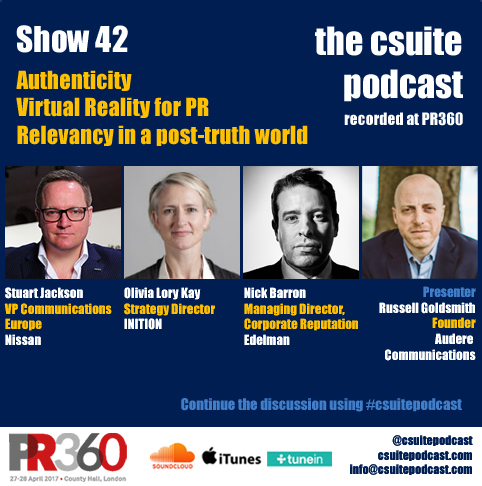 CIPR Members receive 5 CPD points for listening to this podcast on Purpose Driven Brands, Fake News and Behavioural Science if they log it at their My CPD. Recorded at The Holmes Report’s In2 Innovation Summit, London. 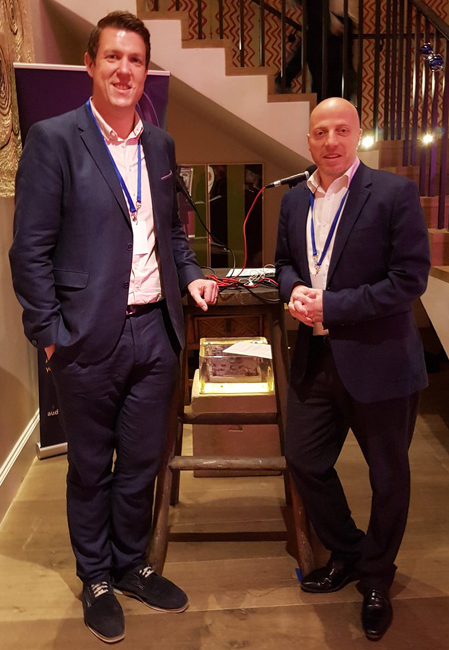 Russell Goldsmith’s first guest was Gareth Hopley, Head of PR and Communications at Pizza Hut Restaurants in the UK. Gareth had earlier taken part in a panel discussion at the event on the topic of ‘Purpose driven brands in an era of PR nightmares’, which had centred on brands with a purpose behind what they do, how that purpose is found, whether it should start internally and then be used for external marketing or whether agencies can help find the purpose to give you a reason to connect with your customer base. 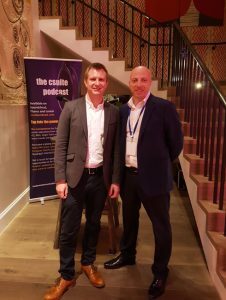 Gareth said that it was heavily agreed on the panel that it is best to start with an internal purpose, which helps define who the brand is and that it should be authentic and genuine to what that organisation believes. According to Gareth, Pizza Hut Restaurant’s purpose is ‘to be the most loved place to eat and work’and the motivation behind this is that, as a restaurant business, the organisation wants customers to love to eat with them and want its employees to love to work for them and to feel connected to the company. Gareth said that the belief is that you will never make the customers feel better than you make your own people feel. He added that the broader reason for this as a mission statement is that customers choose to spend an hour eating at their restaurants, for whatever reason, i.e., they could be celebrating or commiserating, but they have chosen Pizza Hut to spend that hour and so to make that hour great. He said that you therefore need to ensure the workforce want to be there and support each other or they will not deliver the necessary service and therefore the business would fail. Pizza Hut employs 8000 people in the UK and Gareth said that given they spend much of their time at work, it’s important to ensure they love it and care about the company. Looking after the workforce is therefore extremely important and so Pizza Hut has partnered with Mental Health UK and Rethink. These charities were chosen because people are at the heart of the business – added to those thousands of employees, Pizza Hut also has about two and half million visitors to its restaurants every month. 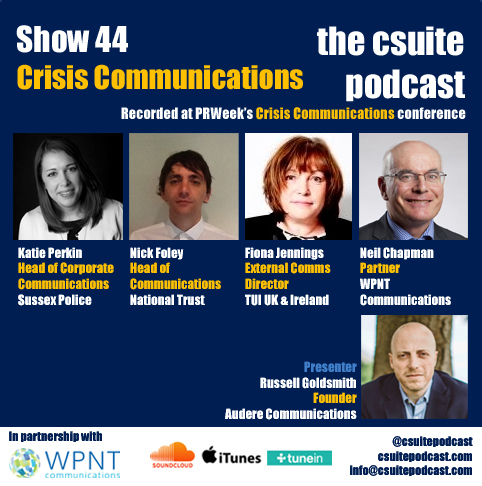 Gareth explained that, with 1 in 4 people in the UK experiencing a mental health problem each year, this will mean a lot of people that touch the business are likely to be affected at some time. Pizza Hut therefore want to create an environment and culture, internally, where people feel supported and can connect with each other. The aim is to get to a point where all team members can raise their hand and say, ‘I need help’, without feeling judged and Gareth thinks that all Pizza Hut Restaurant’s employees have reacted positively to the charity partnerships. Their management are therefore trained to help use emotional and behavioural skills, teaching them leadership and how to recognise how their behaviour impacts those around them, how they can empathise and support their team and recognize when their team members need help. Of course you can teach them how to make a pizza, Gareth says, but he adds that it’s this management training that will ensure the customer gets the best service. Gareth shared a story about a specific team manager who had been impacted by a mental health condition and recognised the stress of being a manager but he felt he couldn’t ask for help. As he explained, at Pizza Hut, you can be running a team of 30 to 50 people and be responsible for a multi-million pound business at a very young age and the strain of that exacerbated this particular individual’s situation. He was therefore given the time off that he needed and returned to company as a team member when he felt ready, but has since re-joined the management program. Gareth was very proud of the fact that this proved this particular employee felt he could ask for help without the fear of being judged or treated badly. Finally, as far as other campaigns that have inspired Gareth, he said liked Heineken’s ‘World Apart’. He felt the ad showed many similarities in what Heineken were trying to do compared with Pizza Hut’s purpose – just as a restaurant connects people so does going for a beer in a pub. The campaign shows pairs of strangers who were shown videos about each other and realised they had contrasting and opposing views. They were then given the option to stay and discuss their differences or not. Obviously they chose to stay but Gareth felt the way the campaign was shot and delivered felt very genuine. He thought that what it was communicating about Heineken having a broader purpose of bringing people together in the world resonated very strongly with what Pizza Hut believe, i.e. no matter who you are or what you are wearing or where you come from, everyone is welcome in their restaurants. 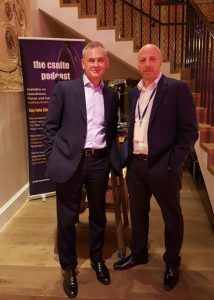 Brad had earlier given a talk on how corporate communicators can best navigate a fake news world, a conversation that followed on nicely from the interview we carried out with Nick Barron of Edelman in the previous show. In that podcast, Nick said that fake news had always been around, and Brad agrees, as he said it’s the nature of human beings to, from time to time, tell lies and untruths. However, he added that the power and presence of the internet and the scale and impact of social media has just meant the manipulation of the truth has an impact that far exceeds the truth itself and it has changed world events. APCO recently carried out its own research on the topic where they asked a representative proportion of UK and US population a series of questions about fake news and according to the findings, people don’t know what to trust because there is so much news and information available. However, Brad felt that people do want to trust the news. Everyone questioned in the survey trusted traditional media more than social media, but 18-34 year olds were twice as likely to support social media output than the over 55s. When asked whether they could distinguish between fake news and real news, 72% in the US and 67% in the UK said they could not. Brad made a point that Julian Assange and Edward Snowden represent an aggressive movement for transparency, for clarity and for putting data and information out unencumbered to the world at large. Their choice to disaggregate traditional media that would validate that information paved a way for what we see now, i.e., a gap for those who will put out disputable data as news. These instigators created a sense that to get facts you do not need to go to traditional media, as in the past. Brad said disruptors who saw this opportunity, i.e. Steve Bannon, a supporter of Donald Trump’s campaign and now the White House Chief Strategist, have been able to capitalise from this moment because there is a hunger within the population to hear what you want to believe created by like-minded people. The beneficiaries of this fake news have been the politicians, not just Donald Trump, but also Putin, Xi Jinping, and other new nationalist leaders who manage the media, disaggregate the media or simply chosen to ignore traditional media and prefer to work with social media platforms. Also in APCO’s research was the question of whether people felt they could distinguish between fake news and real news. It turns out that 69% of the US public and 53% of the British who responded, thought they could tell the difference, but when given some data that included both truthful and fake news coverage, it turns out Brits were better at actually identifying the difference. Referring back to the title of his talk, Brad said that corporate communicators need to use caution to navigate the world of fake news. They need to be alert, aware and informed as well as using all the resources they have in their communications departments and using their agencies to make sure they have the ability to engage quickly from a position of authority and to rebuff fake news stories when they appear. He explained that many of his agency’s clients are big corporations facing challenges and changes they can’t get to grips with – unfamiliar markets or dynamics – so the fake news aspect creates opportunities for his business. Of concern is if the guidance or advice being given is correct at that moment and in that context. 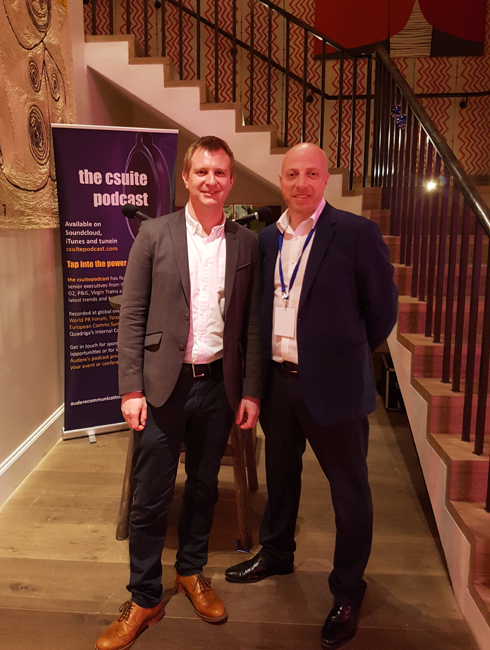 In the final interview, Russell was joined by Matt Battersby, Managing Director for H+K Smarter at H+K Strategies about Behavioural Science and its relevance to communications. Matt describes H+K Smarter as a specialist team of behavioural scientists and researchers who use behavioural science to solve problems and to create communications that are smarter and more effective. He went on to explain that behavioural science is the intersection of economics, phycology, neuroscience and sociology – it’s about really understanding what we do, why we do it and how we influence it. Matt had presented at the conference on the two systems of how people think, which he describes as both operating in your brain at any one time. System 1 – your quick, more emotive, unconscious way of thinking, he called it your ‘Homer Simpson’ type of brain. System 2 – your slower, more thoughtful, more reflective (classically more rational) way of thinking, your ‘Sherlock Holmes’ brain. The vast majority of your decisions are through System 1, which you use far more than you think you do. Using System 2 takes effort and energy, so you avoid it where you can and save it for something you really need it for. To give an example of how this thinking can be brought into a campaign, Matt explained that one of his colleagues set up and ran a behavioural insights team within the NHS, specifically using it to get people to sign the organ donor register. This is a classic example of ‘intention action gap’, as 90% of people say they support donating organs but less than a third of people actually sign the register. Each message had a different psychological trigger behind it and they looked to see which one was the most effective. This shows that if you apply scientific thinking to your communication messages, you may get a different result to what you thought. This interview was recorded ahead of the recent UK General Election, and so it was timely in that one huge challenge in the UK has been how to get younger voters to the polling booths. Matt said that there is some great research on how you actually get people out to vote. He explained that if you have a group of people who have said they probably will vote for a specific party, the standard approach would be to call them the night before and remind them why they love your party, why they dislike the others, and that their vote is important. However, the science suggests a different approach is needed – to use the social norm, i.e., tell them lots of other people are voting, to be part of a movement – part of something. Secondly, Matt said that you should not ask people if they are voting, but instead ask if they are going to be a voter, using the noun rather than the verb helps people see voting as part of their identity, particularly with young people, as it appeals to a sense of who they are, as it is much harder not to be something than not to do something. How can we apply behavioural insight better, with more scientific thinking, to the questions we are already being asked by clients? Providing better communications solutions to their problems. How do we answer different problems? For this, Matt used the example of a project currently being worked on where they are using behavioural science to improve the communications in job adverts to attract more talent by changing the wording to get more recruits in. Matt believes that any challenge can be tackled by applying behavioural insight to it and therefore by looking for the better and different is how he sees behavioural science growing in PR. He also said universities such as LSE, UCL and Warwick University run short courses as well as Masters’ courses. All previous shows of the series are available on Soundcloud, itunes and TuneIn. There is also a growing community on Facebook and Twitter, where you can get involved in the discussion. Finally, if you subscribe to the show, please can you give it a positive rating and review on itunes in particular as this helps it up the charts!